How truly disappointing. Really, who ever thought the Big N would be so “money-hungry” as to threaten Fan Artists for their work? If anything, this should have made Fanboys glee for joy, and thus pursue Nintendo for more amazing games. Sadly, Nintendo of America is blinded by power, that it seems this giant no longer listens to its fans. The ]Syntax Error[ website and Youtube account (SuperTexture0) are officially shut-down because Nintendo threatened the hard-working ]EE[ team with a Lawsuit if they didn’t bring their work down, meaning (not) releasing it to the public or even if they continued the Project. Ever wondered how a Mario or Luigi (or any of your favorite Nintendo Characters for that matter) would look like if they ever raised the middle finger at you? Well, this is exactly what it is. Nintendo has branded the “F*** You” insult on the foreheads of every Smash & Nintendo fan alike. For a full-fledged article on what has happened, and the ongoing legacy that is]Syntax Error[ , visit the Stack Smash website for more info, or Click Here and I will take you to the controversial article right away. Thanks to ]EE[ for their hard work, even if the actual Patch will never see the light of day. 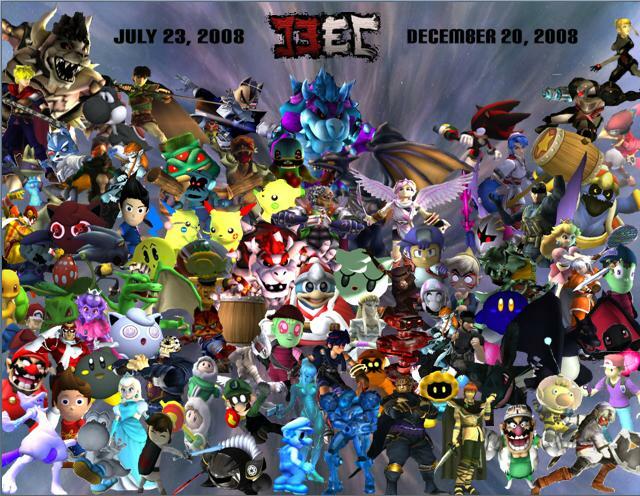 You guys truly made history in the epicness that is (or was) Nintendo. Here is hoping we can meet again! *This is all according to sources. No official news on Nintendo’s part. Personally, I cant wait for this game as I am a big TMNT fan. Could this mean another great game to rival brawl? So, many of you may be left wondering, “What the heck happened to Nintendo Bros?”. I’ll begin posting Miscellaneous Nintendo Content as usual. If you have any auggestions for future NB articles, let us know through Comments!